Third, developing management structures for coordinating teams of researchers, and for ensuring the quality of their research products. We create a variety of useful tools by putting our logical analyses together with state-of-the-art technology – tools that are useful for both legal practice and legal education. We make tools or products from our logical and linguistic analyses of the reasoning patterns in particular decisions, such as semantic data and software applications. To take one example, when we construct logical “rule trees” for particular legal areas (such as our rule tree for the Vaccine Act or our rule tree for U.S. medical malpractice decisions), we are able to use software developed by Apprentice Systems, Inc. to make software templates. We then use these area-specific templates to create software models of the evidence assessment in particular cases. Our logic models of the reasoning in particular cases integrate the statutory rules, case law, and evidence assessment into a single line of reasoning. The logic shows how rules and evidence assessment work together to generate an integrated line of reasoning. Logic models not only show the reasoning of the factfinder, but also suggest structures for possible arguments by practitioners. Once the Lab uses the Legal Apprentice software to model the reasoning in a particular case, the software can also generate an HTML file of the reasoning (see, for example, the Lab’s HTML file for the reasoning in the Casey decision). These files can be viewed using a variety of desktop and mobile devices. 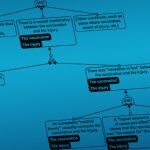 This growing library of software rule trees and reasoning models is useful in itself, particularly to parties interested in researching the reasoning in past cases. Our case models are especially useful because they model not only the legal rules, but also the factfinding in the case – the reasoning from evidence in the record to the findings of fact. But this library also provides the foundation and building blocks for more powerful tools. Researchers in the Lab study the case-specific reasoning that they model, and then publish comments on patterns, trends or hypotheses through the use of blog posts (see, for example, the blog post on a the pattern of reasoning found persuasive in the Casey decision for proving that a vaccine can cause a particular type of injury). Lab researchers are on the lookout for trends in the decisions, or for correlations among various logical elements. These insights may begin as empirical observations and hypotheses, but end as tested theories. 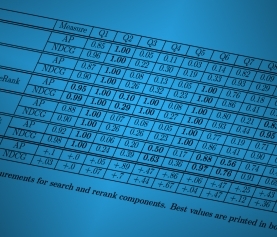 We can make these insights available to the public both in printed form and as software components. The software, together with ready-made knowledge modules developed by the Lab, will enable decision-makers and practitioners to improve their organization of evidence, their reasoning and arguments, and their assessments of settlement value – thus improving the efficiency of the decision-making process. We also create training methods for logic skills. The same tools that we develop in the Lab to orient and train new researchers become tools that anyone can use to acquire such logic skills as rule extraction and evidence-assessment modeling. It is a definite skill to “see” the logical structure in a natural-language document, such as a legal decision. In order to make our logical modeling a reliable and valid method of empirical research, we at the Lab have to develop training programs and protocols to use in our research teams. These same programs and protocols can be used in judicial workshops, in law-office training programs, in continuing legal education sessions, and in regular law school courses. Moreover, because the Lab’s work is technology-based, much of this training can be accomplished at a distance, and with flexibility as to time. Our scalable team approach is another useful tool. The LLT Lab is designed on the scientific model. This means that we must achieve reliable and valid logical modeling, as well as develop and test hypotheses about reasoning patterns. We are therefore dedicated to developing the management structures that enable a team approach to these tasks and ensure the quality of our work. Thus, the success of the Lab demonstrates the feasibility of conducting important research through a scalable, team approach. This means that we can add additional researchers, and expand the scope and number of our projects, without loss of quality control. We can create new projects like our Vaccine/Injury Project in other areas of the law (whether judicial or administrative), and in other legal systems. We can create new collaborative projects with other research laboratories, such as our Medical Malpractice Project with the LIDER Lab of the Scuola Superiore Sant’Anna in Pisa, Italy. The Lab’s management structures are also useful tools that we can make available to other organizations that have a need to coordinate and develop quality control for teams of researchers. 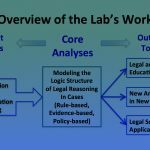 In sum, the Lab can be become a true knowledge center for society, in which teams of researchers create a variety of tools that are useful in legal practice, legal education and societal decision-making.